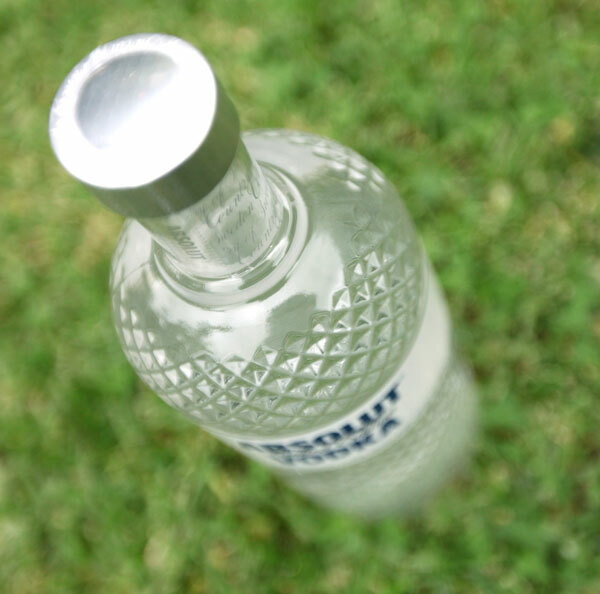 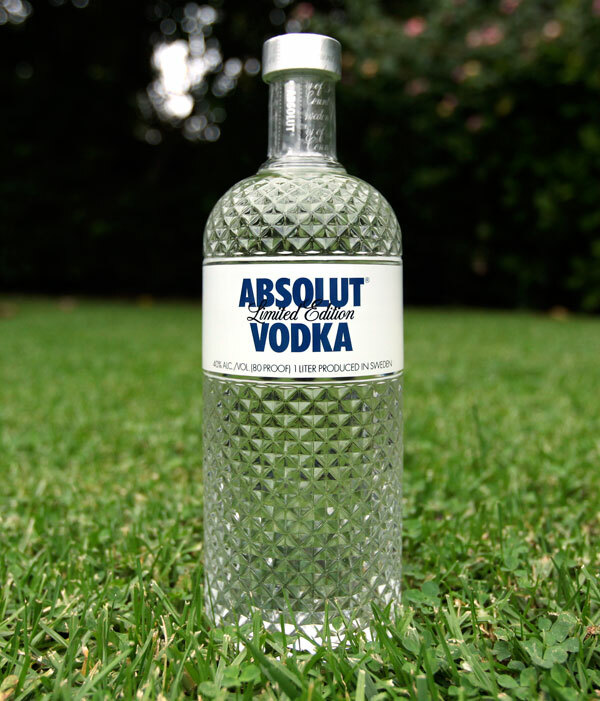 Who doesn’t love a perfectly glimmering glass bottle? 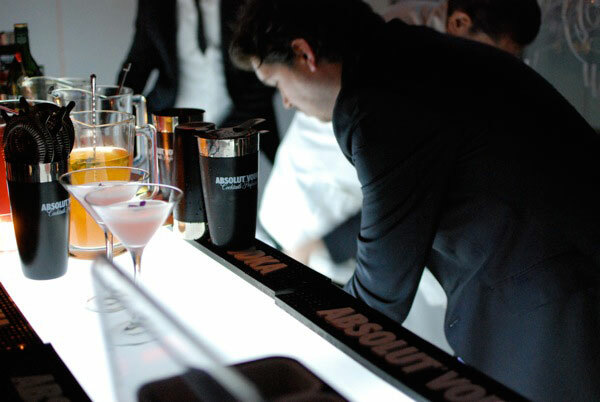 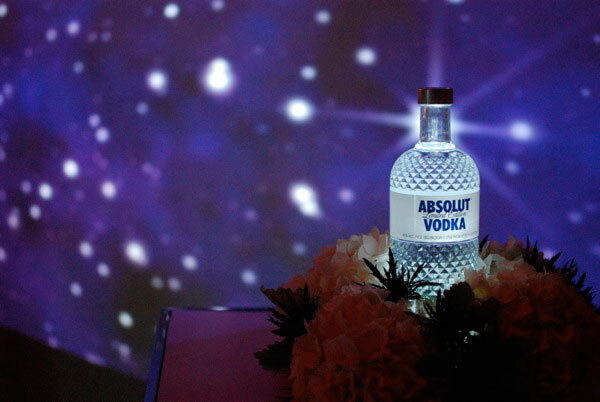 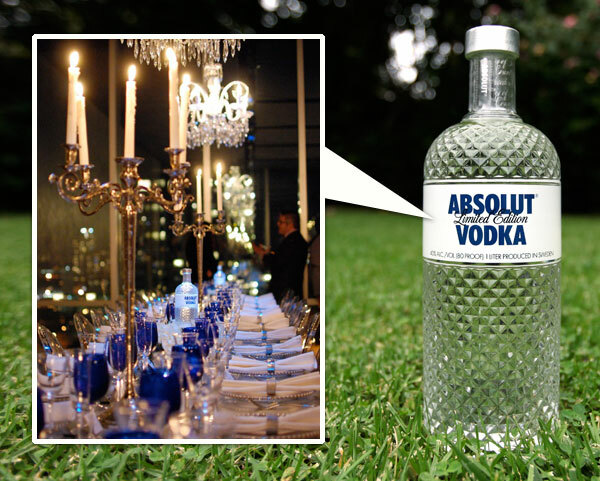 Somewhere between a studded crystal bottle and a discoball lies this Absolut Glimmer limited edition bottle ~ this comes following the Absolut Disco, Absolut Masquerade and Absolut Rock Edition of the previous holiday seasons. 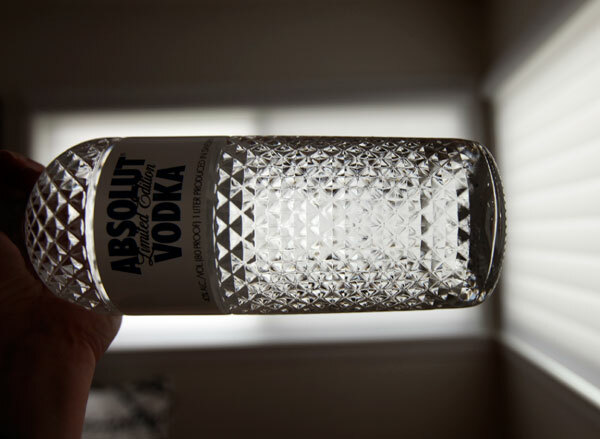 i must say, it feels even better in person than you’d expect ~ and i love that this design is the actual glass forming the texture, not something overlayed on their classic bottle! 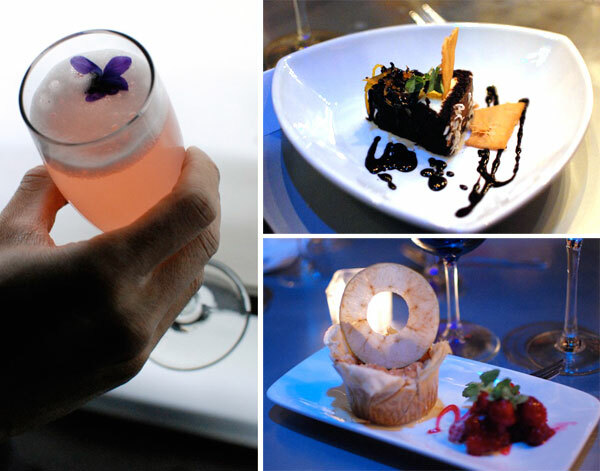 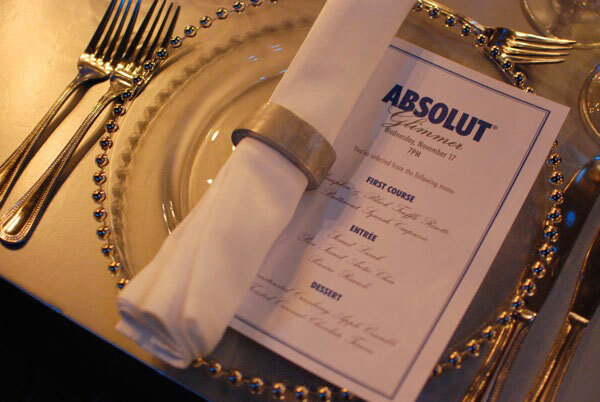 They threw a launch dinner for the bottle in NYC, which the lovely Sean and Anna of Sub-Studio attended for us! 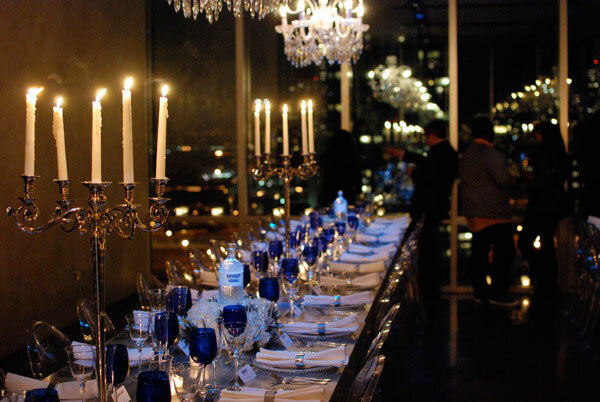 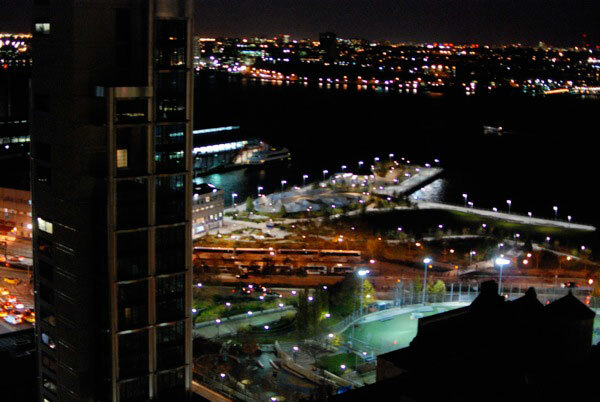 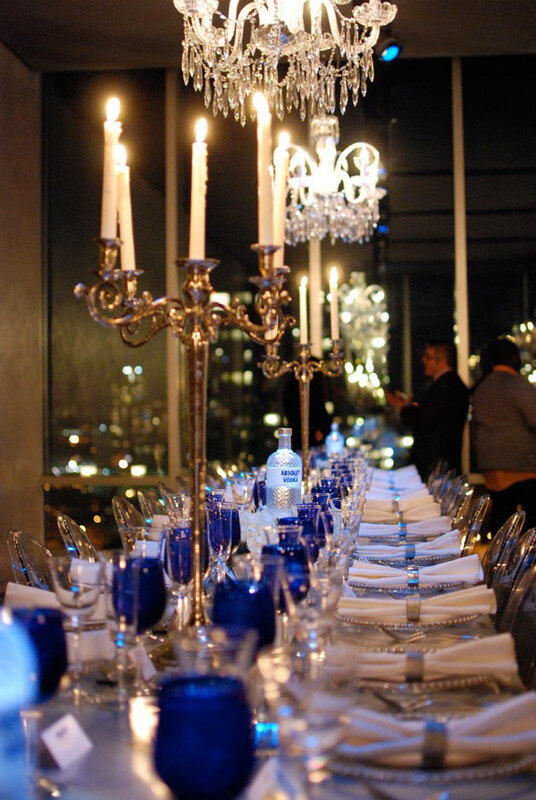 And of course the event was all sparkles as well ~ from the chandeliers and candles lighting the bottles to the glittering skyline views across the Hudson River from the Chelsea Art Towers. 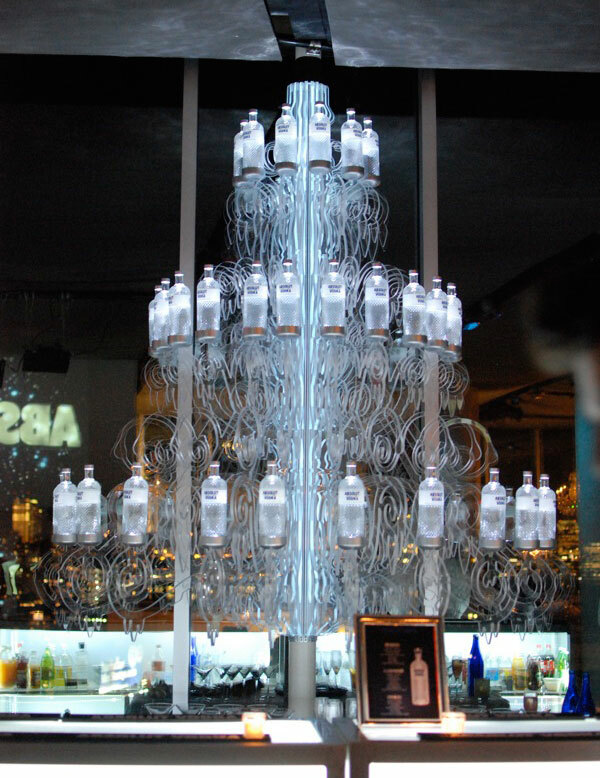 Beautifully ornate plexiglass tree-like chandelier of Absolut Glimmer bottles constructed behind the bar ~ Simon Ford mixing deliciously complex cocktails! 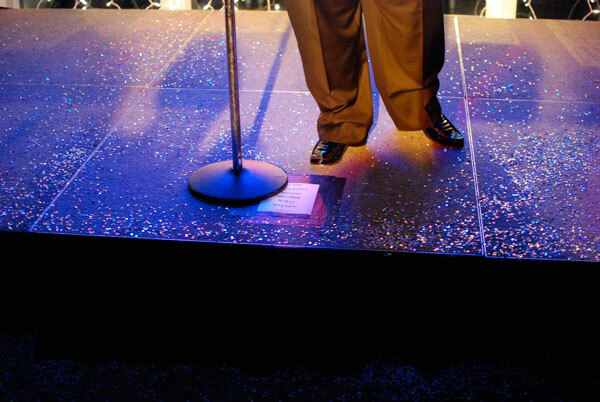 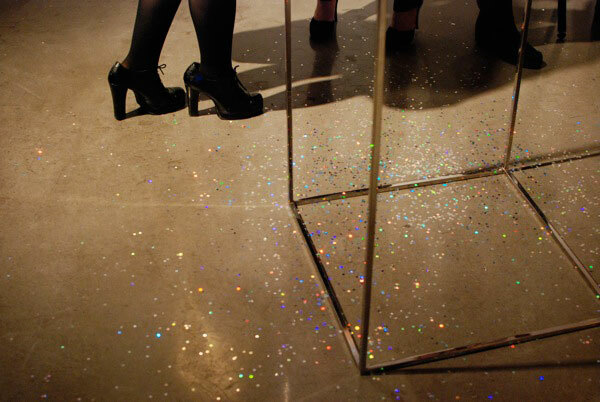 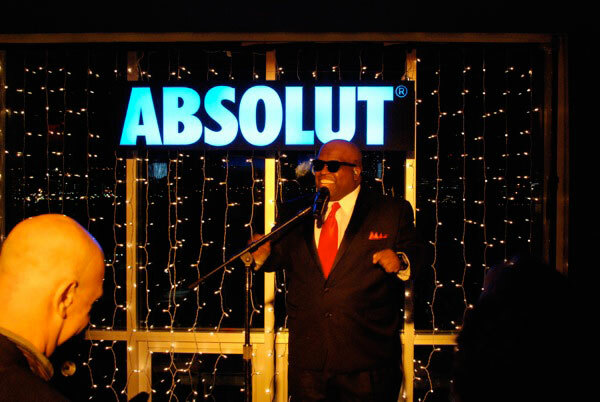 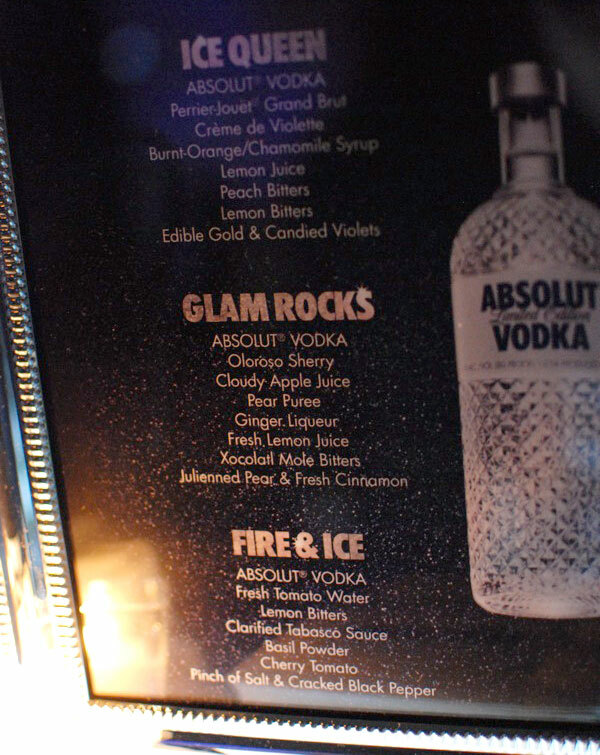 With edible flower garnishes, 8-10 ingredients and more… and to end the night, Cee-Lo performed… on a sparkly floor! 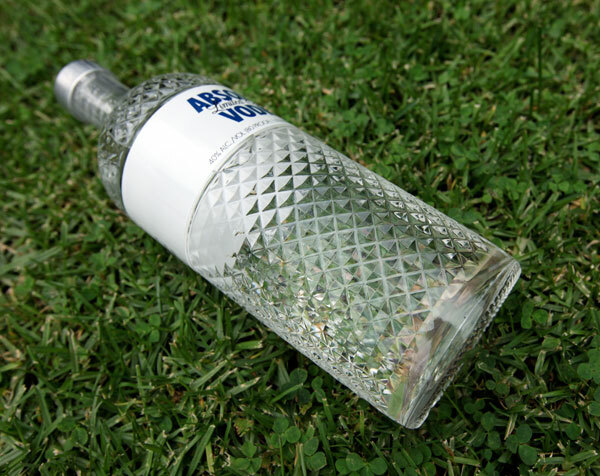 So take a peek at their adventures, as well as some of my close up pics playing with the bottle that was waiting for me when i got home from the round the world adventures!